Fruit Ninja Gets New Blades & Backgrounds In New Update! 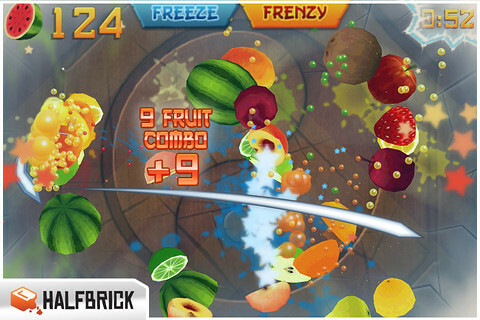 Fruit Ninja has recently received a new update that brings new blades and background graphics. Slice your way to victory with an all-new blade and background pack! We’ve squeezed even more juiciness out of the game to bring you 3 new blades, 2 backgrounds and brand new challenges to keep the action going! ● Rainbow Blade – A magical blade that shimmers and sparkles with every slice. ● Water Blade – Empty your mind. Be formless, shapeless – like water. ● King Dragon Blade – Harness the mighty power of the dragon and bring fiery destruction to all fruit in your path! 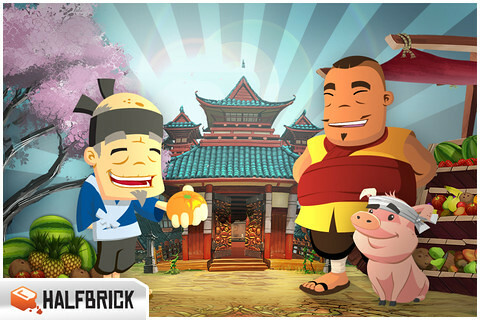 ● Gutsu & Truffles Background – Let friendly faces guide you on your journey to become the ultimate Fruit Ninja. ● King Dragon Background – A background fit for a king. Dedicated to the amazing 6-year-old fruit master!